Over a year’s worth of hard work, a huge fundraising effort and generosity beyond measure will be celebrated on Tuesday 19th December. Her Royal Highness, the Princess Royal, president of Riding for the Disabled will formally open the new home of the RDA’s Woodbridge and District Group. Her Royal Highness will open the purpose-built premises, which include 40m x 20m indoor and outdoor arenas, community area, 25 acres of paddocks for grazing and a 1km all-weather track for carriage driving. In a programme designed to showcase their new home and the valuable work of the Group, Her Royal Highness will meet volunteers, riders and horses. After a riding demonstration and awards ceremony, a formal unveiling of a plaque to mark Her Royal Highness’ visit will take place. Suzanne Hammond Trustee for the Group said “We are absolutely delighted that our new home will be formally opened by Her Royal Highness, the Princess Royal. This will mean so much to our riders, carriage drivers and volunteers. Everyone has worked so hard over the last year to make our new home possible. We are so grateful and today is really the icing on the cake”. The land and old farm buildings at the Groups’ new home ‘The Bays’, has been provided on a long-term lease by local landowners, the Chamberlain Family. The Chamberlain family said, “This is a wonderful charity to be associated with and we are sure that the Group’s activities will benefit everyone involved”. The Group will start riding lessons and carriage driving from their new home in January. Likit has announced its latest #teamlikit winners: they include Carrie Munro (Essex), Hayley Young (Northants), Harriet Barron (Herts) and Gracie Tyte (Suffolk). 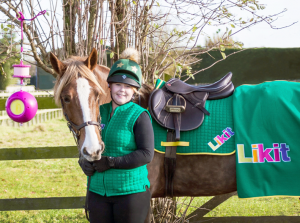 The annual opportunity to become Likit Brand Ambassadors is open to horse and pony owners of all ages and abilities, with successful candidates each winning a year’s supply of Likit Products, their own blog on the company’s website, a £100 training bursary, and branded kit for themselves and their horse. 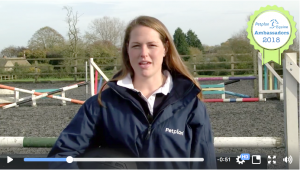 Entrants had to create a short video explaining why they and their horse or pony really love Likit Products and what they hope to achieve in the coming year. Two of the winners were selected by the Likit team, with a further selection of their favourite videos going through to public vote on social media. Brand Manager Lindsay Gall said, “This is the fourth year we have run the competition and we have once again been hugely impressed with the quality of entries and the passion that riders have for the Likit brand. Our previous Brand Ambassadors have done a tremendous job and we look forward to following our new team during the coming year and beyond. With the Liverpool International Horse Show just days away here we catch up with triple Olympic gold medallist Charlotte Dujardin about her first visit to the iconic Echo Arena. What are your plans for competing at the Liverpool International Horse Show? This year will be the first time I have competed at Liverpool International and I will be bringing the talented eight-year-old En Vogue. It is fantastic that the show has introduced dressage this year with the new Equitop Myoplast Inter 1 Freestyle (Dressage to Music) class, which takes place on the Friday evening performance, December 29. Your mentor, trainer and great friend Carl Hester is also competing there, should we expect some friendly rivalry? Of course, that goes without saying. We are massively supportive of each other but when battling it out in the arena, it is everyone for themselves. Carl will be bringing Hawtins Delicato who is another huge talent so there is everything to play for and we can guarantee some great dressage on our 2020 Olympic hopefuls. Tell us about En Vogue? Have you any secrets for success? There are certainly no shortcuts and it really comes down to determination, hard work, some luck along the way and never giving up on your dreams when it comes to achieving your goals. How achievable is it for ambitious young riders today? Both Carl and I have achieved our success through hard work and are always striving to increase our knowledge. Neither of us were handed it on a plate but we have certainly made the most of the opportunities so yes I would encourage young riders to dream big and aim for the top and surround yourself with good trainers. You never stop learning. 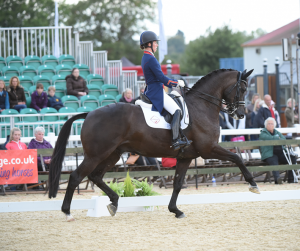 What do you think your relationship with Valegro has done for the world of dressage? Without doubt, dressage is on a whole new level and is recognised by so many more people outside the sport more than it ever has been. The term ‘dancing horses’ came to the fore after London 2012 and to a certain extent helped promote the sport and make it more understandable for the public. If there is ever a spare moment, what do you enjoy doing to relax and recharge? Everyone in the team is so busy but we try and plan in short breaks when we can to recharge the batteries. With my fiancée Dean I do try and make time for a quick getaway or a nice meal out when we can. The Malvern Hills are also a great way to spend a few hours walking with the dogs. 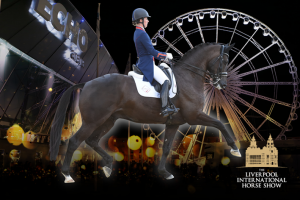 This year’s Liverpool International Horse Show will see a host of leading names in action from 29th to 31st December, at The Echo Arena on Liverpool’s iconic waterfront. Petplan Equine is looking for customers who are role models for responsible horse ownership. In return, the Ambassadors will receive branded clothing and kit as well as £500 towards competition entries and training costs as well as the opportunity to benefit from coaching in their equestrian discipline from top trainers. See Facebook https://www.facebook.com/PetplanEquineUK/videos/1673270102743149/ – applications close on 2 January 2018. Charlotte Dujardin is now confirmed to compete at Liverpool International Horse Show on Friday evening 29th December with her own En Vogue! She will be joining Carl Hester in a stellar line up in the Inter 1 Freestyle (7pm performance), and will be available to fans for a signing session before the show starts!